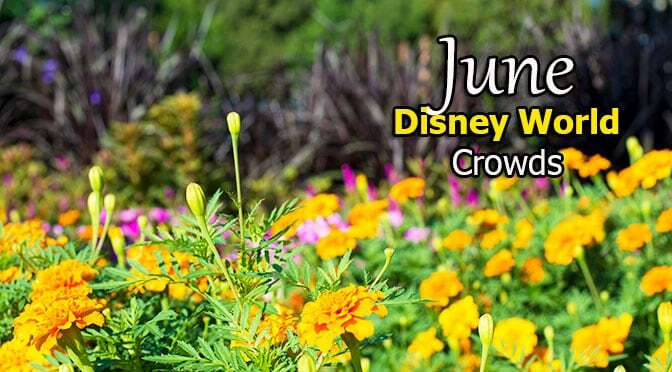 I just completed creating my June 2018 Disney World Crowd Calendar. It offers the initial (meaning some will increase over time) park hours, Extra Magic Hours, Magic Kingdom parade and fireworks, Illuminations, Fantasmic and Rivers of Light schedules. Check it out! Disney World has done better about providing times for the parade, fireworks, Fantasmic and Rivers of Light for June 2018. I’d expect that Star Wars fireworks and an additional showing of Rivers of LIght will be added at a later time. You’ll see that Magic Kingdom is offering Early Morning Magic a few days in June 2018. It is a special paid offering that is not to be confused with Early Magic Hour. I’ll update as we go along, but this Crowd Calendar should help you plan out your 180 days Advance Dining Reservations. Here’s some great tips on how to get the best ADR possible too! If you know someone that might be travelling in May 2018, use the share buttons below to let them know!